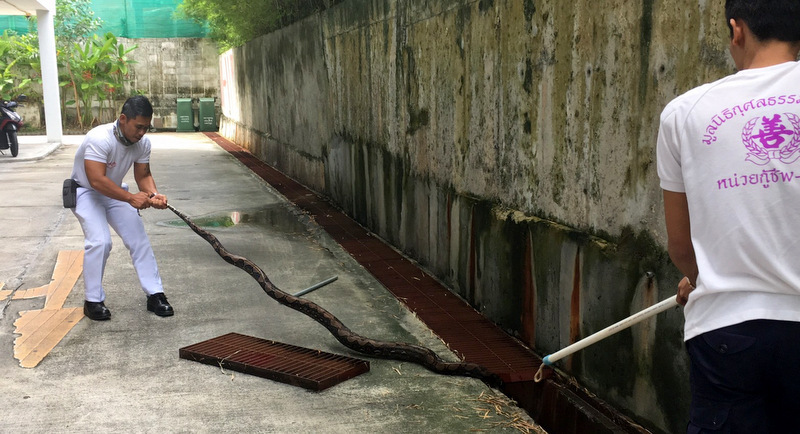 PHUKET: Rescue workers were called to a condo complex in Kathu today (July 3) to retrieve a three-meter snake spotted hiding in a drain. Kusoldharm Foundation rescue workers were called to Ratchaporn Place Condominium, on the entrance road leading to Bang Wad reservoir, at 11am. The emergency responders arrived to be welcomed by the resident who made the call, explaining that they feared for the safety of children and pets at the condo block. 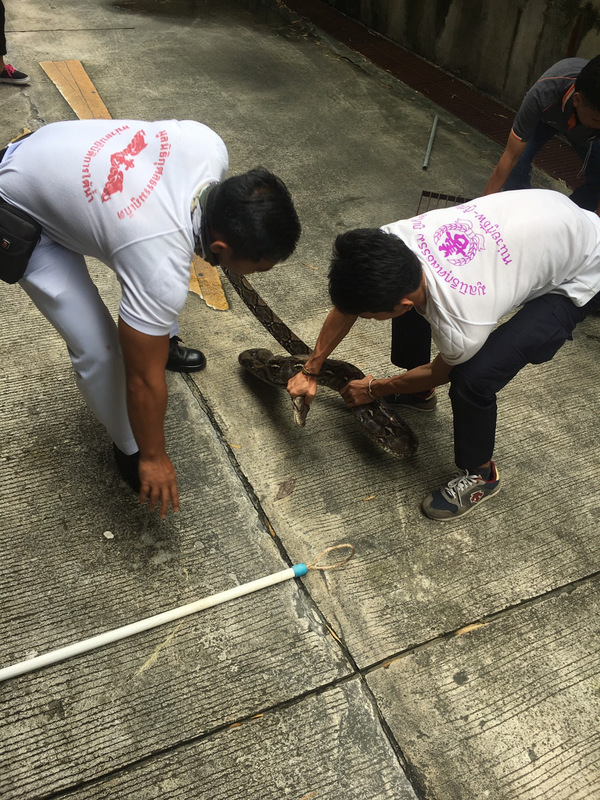 After a short while wrangling with the snake, a three-meter python weighing about seven kilograms, the rescue team soon had the reptile bagged. 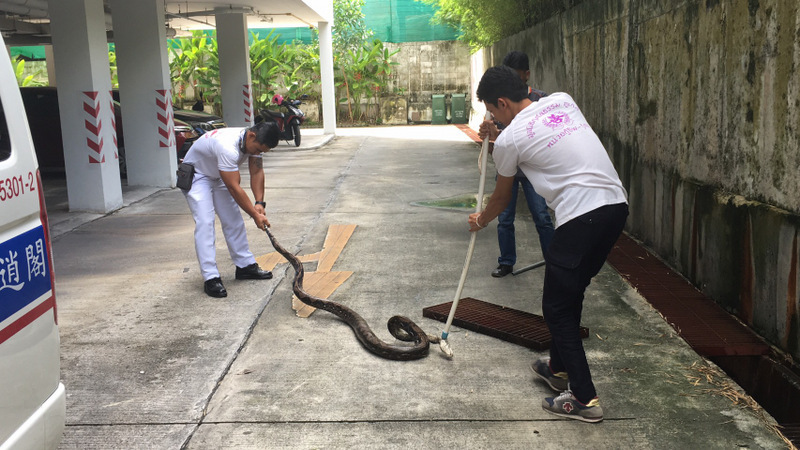 The snake was taken to the Khao Phra Thaeo Wildlife Sanctuary in Thalang, in central Phuket, and released into the wild there.